Is There a Disconnect Between John Gibbons and Blue Jays Management? 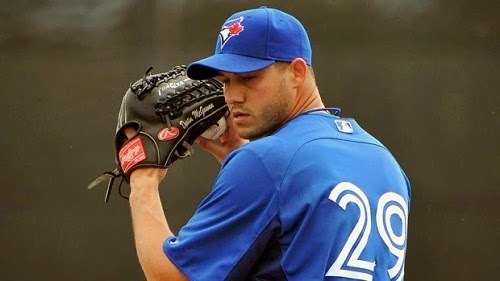 Is it just me, or does it seem like the Toronto Blue Jays have been broadcasting a bunch of mixed messages lately? Whether it’s relievers being stretched out into starters, or position players being declared as Opening Day starters, key members of the Blue Jays organization haven’t quite been on the same page the past few weeks. In particular, there have been several instances which have hinted at a disconnect between manager John Gibbons and members of the Blue Jays front office. It’s something that’s really come to fruition these past few weeks regarding roster moves. Gibbons suggests he disagreed with higher-ups on whether McGowan should try starting again. Mgr worried about injury if McG started again. A piece from John Lott insinuates at some additional differing opinions between John Gibbons and upper management. Gibbons’ preference was to not have Romero begin the year in the rotation, but apparently that wasn’t the case with the front office. 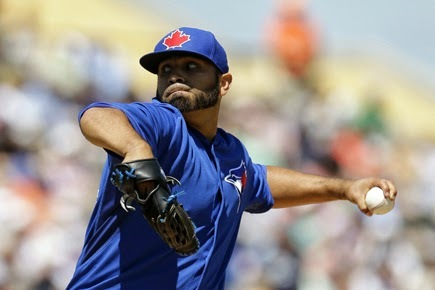 According to Lott, John Gibbons and Blue Jays management had a disagreement about Ricky Romero’s chances of cracking the Opening Day roster. Romero’s poor outing last Tuesday sealed his fate for him, but one wonders what would’ve happen if he didn’t implode. Although there was some debate there for a while as to whether Ryan Goins would be the starting second baseman, I found it curious that the Blue Jays went back and forth on the issue … even though Gibbons declared weeks ago that Goins would get the nod. After the John Farrell debacle, I’ve long suspected whether Alex Anthopoulos, Paul Beeston or other members of the Blue Jays front office might have a stronghold on issues such as roster decisions and player personnel issues. During his brief time in Toronto, it certainly seemed like Farrell wanted to make certain roster moves but wasn’t able to do so. He was insistent that the Blue Jays let go of Omar Vizquel in late September, but the front office didn’t see eye-to-eye with the manager. Again, my suspicion that somebody from up top is pulling the strings on managerial decisions would point towards things like carrying an eight-man bullpen. The Blue Jays almost certainly will do that again this year, and it’s not the first time that’s happened under different managers. Then of course comes the issue of not platooning Adam Lind; it appears John Gibbons tried to employ a platoon early on last season, but for whatever reason abandoned that strategy shortly thereafter. And again this year, Gibbons stated Lind would not be in a strict platoon to begin the season. By all indications, John Gibbons is Alex Anthopoulos’ guy. AA definitely went out on a limb to hire Gibbons in the first place, so the two will inevitably be tied together whether this whole experiment goes south or not. 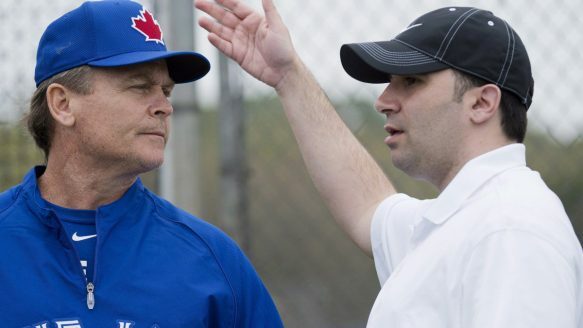 But after experiencing what it was like to have a strongly opinionated John Farrell with his extensive background in scouting and player development, I’m curious if Alex Anthopoulos was looking for more of a “Yes Man” this time around with John Gibbons. I’ve always wondered if that’s what drove John Farrell back into the welcoming arms of the Red Sox organization; because he saw a greater potential there to do more in Boston than Toronto. Not just from a managerial standpoint, but from a player development and organizational standpoint as well. If the Red Sox promised Farrell more of a say in how the roster was constructed and the types of players the team brought in via trade and free agency, who wouldn’t jump at that chance? Ideally, managers should have some sort of say when it comes to player acquisitions, signings and roster moves. Joe Maddon is probably the prime example of a manager who is clearly involved constructing a roster, but I wouldn’t say John Gibbons falls into that category. After all, this was a team that was basically built before he was ever brought on. The blockbuster trade with the Marlins and the R.A. Dickey deal happened long before John Gibbons was even brought back to the Blue Jays. Alex Anthopoulos assembled the team and essentially just brought John Gibbons into the fold and said “here … go nuts”. Gibbons didn’t really have a say this offseason either because they didn’t do all that much. Not that the manager should have the ultimate say on player acquisitions, but they should at least have some input on the guys that should be signed, traded for, and even started everyday. By all accounts, the only say John Gibbons had was bringing in Kevin Seitzer as the hitting coach. When most managers come on board, they’re given an opportunity to assemble a coaching staff. Gibbons was not offered that opportunity at the onset. I mean, John Gibbons initially thought he was just being asked to be part of the coaching staff, so he was probably grateful that the Blue Jays were willing to take a second shot with him as their manager. Many times this offseason, John Gibbons commented about how the Blue Jays were in on particular players and were working on trades, but I got the sense like Gibbons wasn’t really on the same page as Alex Anthopoulos and upper management. I realize that one or two disagreements between a manager and a general manager isn’t indicative a disconnect, but I just find it odd that John Gibbons has come outright and said he wanted to do one thing when management wanted to do another. Don’t get me wrong; I think Gibbons is in the right on all these accounts; Romero shouldn’t have had a legitimate shot to crack the rotation, McGowan shouldn’t be stretched out as a starter, and Lind should unequivocally be platooned. I’d like to think John Gibbons and Alex Anthopoulos are on a good accord. Up until this offseason, there has never been evidence of a strained relationship. But a disappointing season last year and an even more disappointing offseason may have changed things. To me, it seems like the manager is the one who is being micromanaged here; either by Alex Anthopoulos, Paul Beeston, or someone else altogether. And that’s no way to run a team.